Yoga as a form of exercise has been around for more than 5000 years. It's a total mind-body workout that combines strengthening and stretching poses with deep breathing and meditation or relaxation. People of all ages and fitness levels can do the most basic yoga poses and stretches. At Fusion we offer the Vinyasa form of yoga; a series of poses that flow smoothly into one another. The classes are offered at two levels: gentle yoga and regular Vinyasa Flow. Gentle Yoga adapts the poses to allow for a relaxing, gentle stretching, without strain or exertion. There are fewer poses in Gentle Yoga and with the small class size, the poses can be adapted to allow for personal abilities, slowly building strength and flexibility with simple postures. Class cost= $15/class. 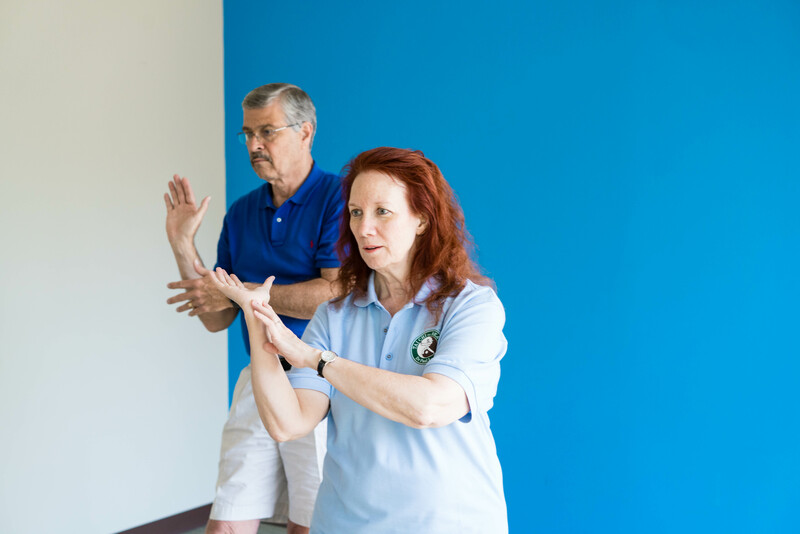 This eight-week series is part of the Tai Chi for Health forms. Tai Chi for Arthritis, designed by Australian family physician Paul Lam, is based on the Sun style Tai Chi. TCA is easy to learn, effective, and safe. It increases flexibility, muscle strength, and heart/lung activity, aligns posture, improves balance, and integrates the mind and body. Scientific studies conducted by Seoul National University in 2001 and the Arthritis Foundation of New South Wales in 2001 have shown this program to be safe and effective. Thousands of people with arthritis have gained pain relief and a better quality of life from learning and practicing TCA. Beginner classes start throughout the year. Strength training has been shown to be an effective tool to decrease joint stress and pain, and to preserve joint and bone health. Strength training is essential to a balanced fitness program. Designed in collaboration with coaches and physical therapists, these classes are led by a Certified Personal Trainer. Class size is small so that the instructor can modify exercises to the individual participant's needs and abilities. Cost=$15/class. Classes are offered Tuesday and Thursday evenings at 5:30. If classes are not your style, you can take advantage of the expertise of our personal trainers. 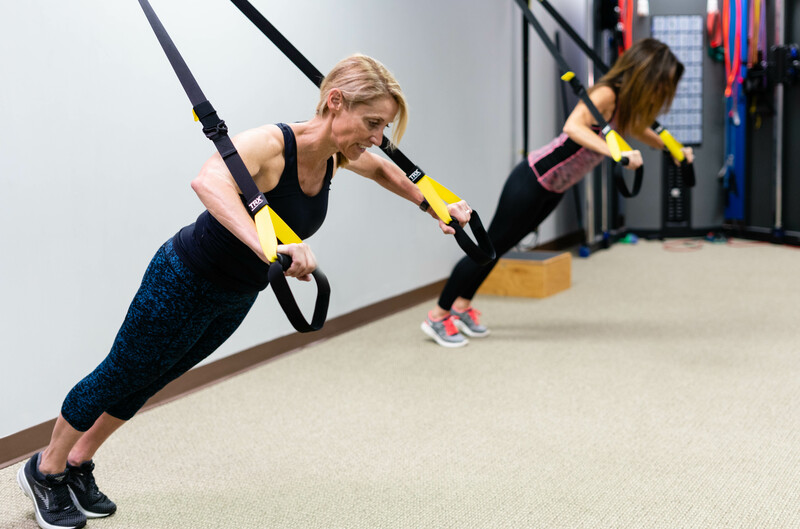 They will create training programs specific to your needs and goals and will consult with the Physical Therapists regarding any injury/health concerns. Personal Training cost=$65/session. Volume discounts are available. By appointment only. Trying to avoid injury while training for a run event? Looking for ways to improve your run times? 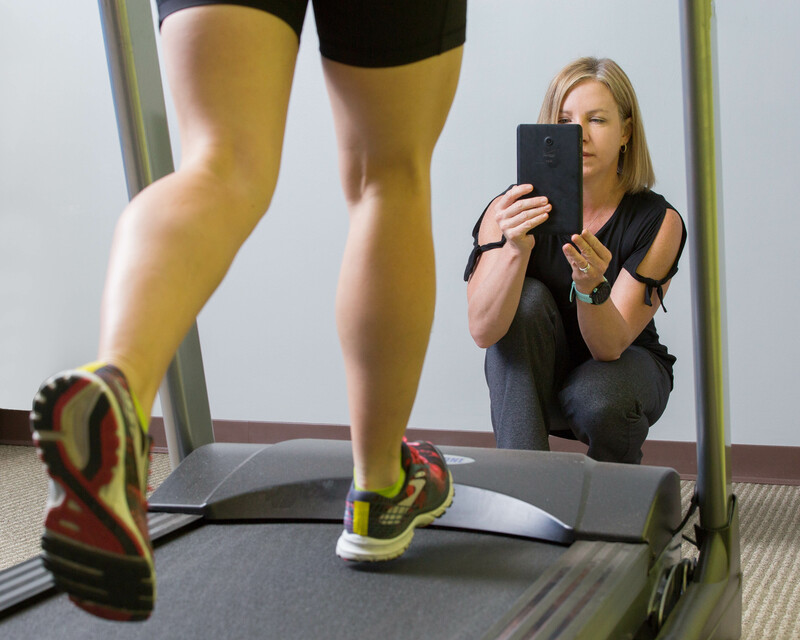 Video run analysis can help by highlighting the inefficiencies and imbalances in your gait. 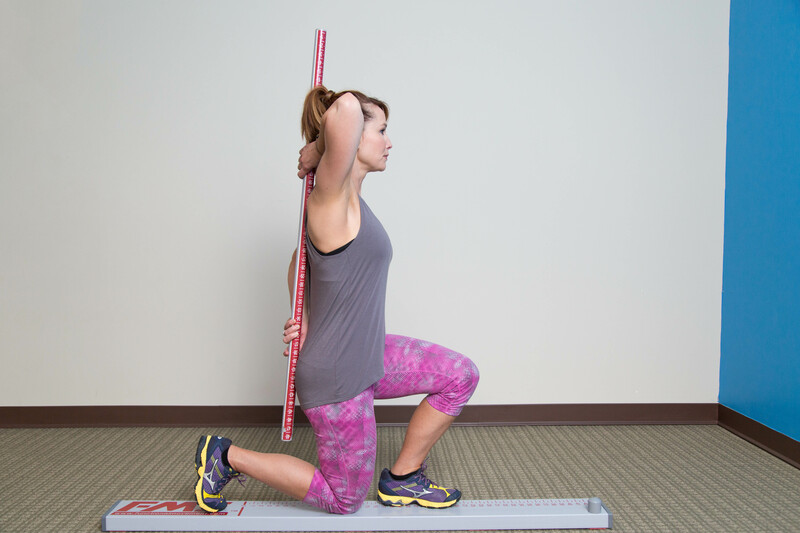 The analysis is performed by a Physical Therapist and the session will include run drills to improve technique and corrective exercises to eliminate imbalances. Please call for an appointment. Cost=$120 for initial video analysis. Any additional sessions will be $90 if needed. By appointment only. Using patented, NASA-based Differential Air Pressure (DAP) technology, the Anti-Gravity Treadmill® set a new standard in body weight supported therapy and has changed the way the world rehabs and trains. This advanced anti-gravity treadmill can be a key piece of training equipment for injured endurance athletes. 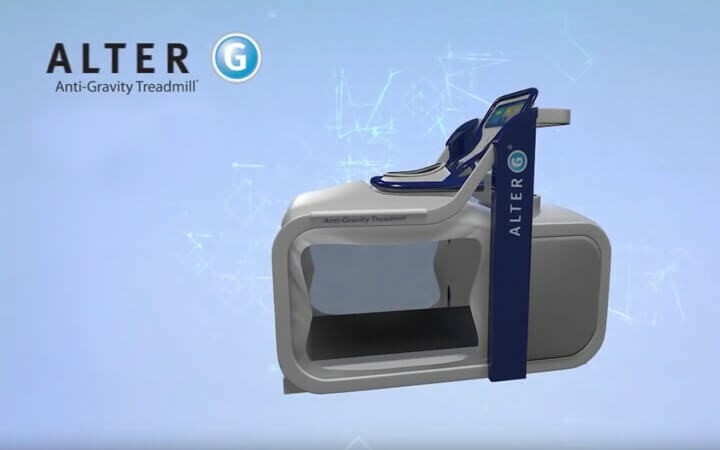 The AlterG Innovative unweighting system enables injury or surgery patients and athletes to reduce body weight from 100% to as low as 20% in precise 1% increments. This amazing treadmill can also be used for non-runners to create and build movement ability in cases of leg fractures, knee and hip surgeries, and low back injuries. It will enable clients to start walking with less strain after periods of deconditioning. The treadmill counteracts gravitational forces to achieve pain-free, fall-safe, unimpeded movement while walking, running, or during closed-kinetic chain exercise. 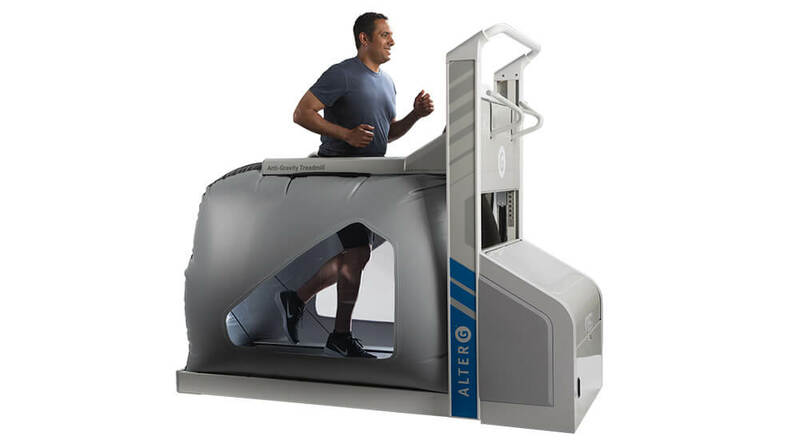 Call today for a free AlterG trial! Throughout the years Fusion has cultivated a network of highly skilled massage therapists. If you are in need of this service and would like a referral, please call for a recommendation. Note: Fusion cannot guarantee your satisfaction with massage therapists as they are all independent practitioners and not employees of Fusion PT. Fusion employs USA Triathlon certified coaches with years of experience in coaching athletes of all ages with the goal of successfully completing a triathlon of any distance up to full Ironman. Our coaches have also participated in the sport for many years. Our coaching programs include an initial assessment, personal online training program, and weekly coaching interaction. Fusion coaches develop training plans for athletes of all levels, but specialize in beginner triathletes, those who are recovering from an injury, or athletes returning to sport after a long layoff.